so we are able to get some garden cleanup done. even a few flowers are blooming. featured in Romantic Country magazine. Tea under the old apple blossom tree. 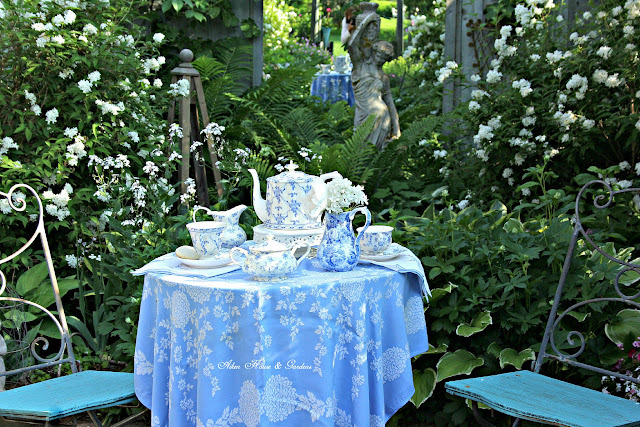 Tea in the Rose Garden. 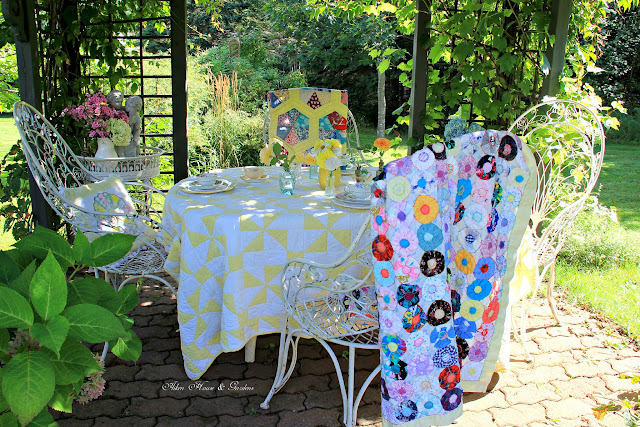 some of my summer tablescapes. lots of beauty around us. 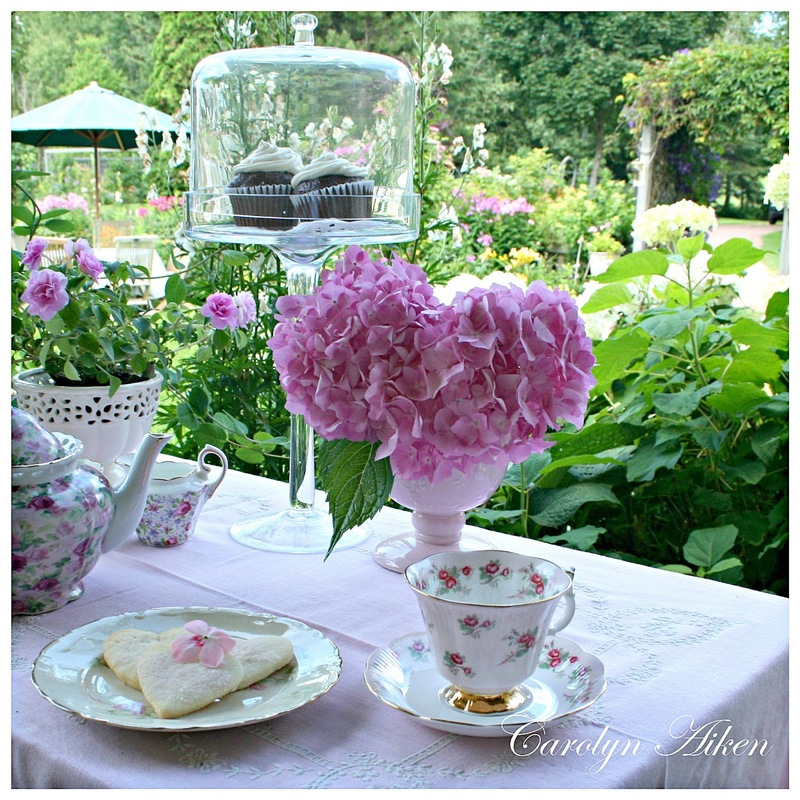 I know all the time and care that goes in to all of your lovely tea in the garden pictures and you never disappoint! I can't wait to see your cottage too. I'm so happy for you! Hubby's job continued with the new company purchase so maybe PEI will be in our future someday. We have a host of projects this year so hopefully we can plan for next! So much loveliness here, you inspire me. You have some beautiful teas. I love all your tablecloths. Happy Easter xo. Fabulous as ever!! !Thanks for sharing!Happy Easter! Your feature in Victoria was so lovely, congratulations! Your blog inspires me! Wish we lived closer and I could join you for tea. I used to visit you often in blogger when I had a blog named "twinkle." Now I stop by here and also check out your pins on Pinterest. Love, love, love! i live in Dublin, Georgia, and have a shade garden of camellias, azaleas, tea olives and sasanquas. 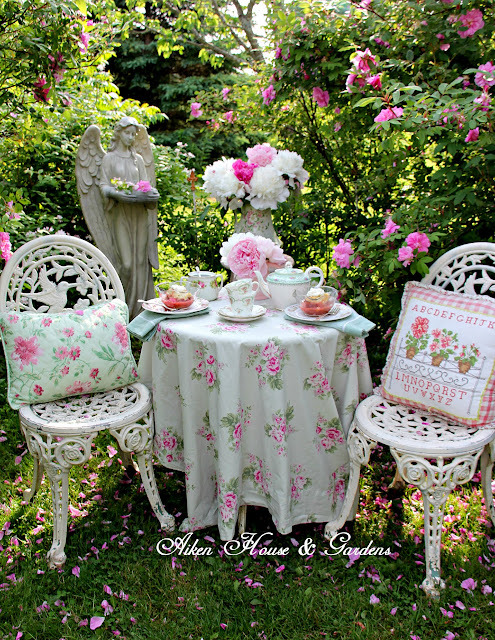 We also have a sun garden with beautiful roses and crepe myrtles. I love that we have nesting bluebirds and see hummingbirds in our garden. Thank you for the years of inspiration! 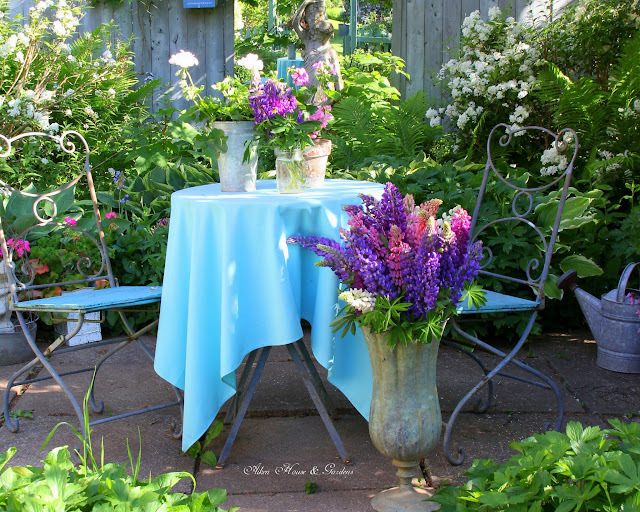 And I so enjoyed your garden story in Victoria magazine. It is so lovely. 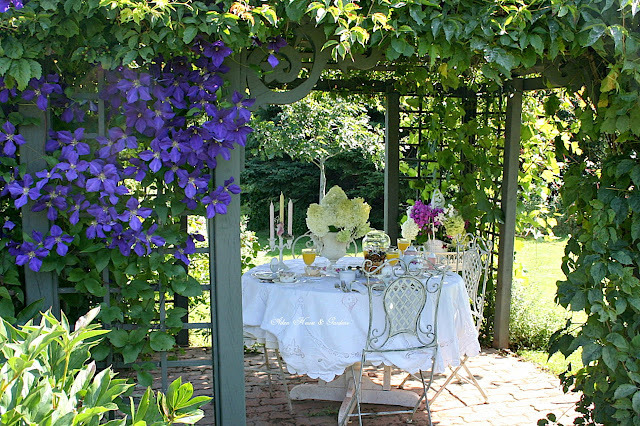 One is nearer God's heart in a garden than anywhere else on earth. Carolyn, I could revisit these a trillion times each and never tire of their beauty. 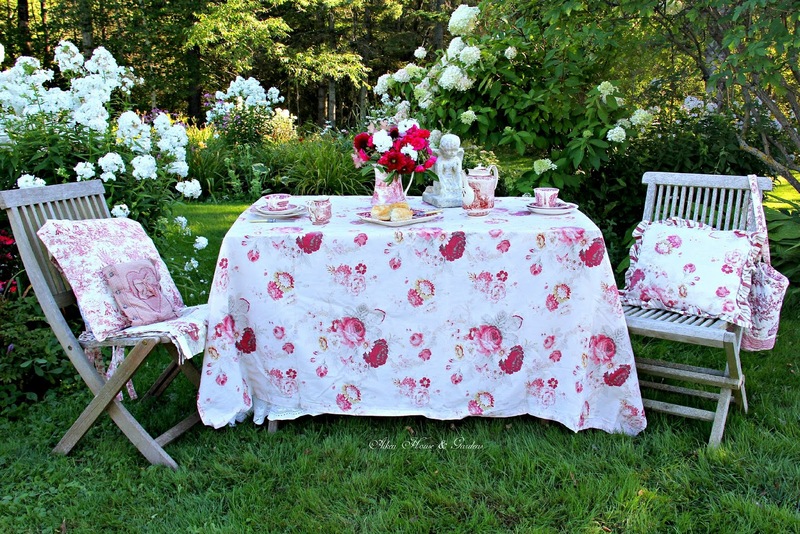 No one does a garden tablescape quite like you - your gorgeous garden world is the perfect backdrop for your pretty tea tables!